Can Georgia Save the World from Antibiotics Overuse? Dr. Zemfira Alavidze’s desk was covered with a variety of antibiotics – in vials, pills and ointments – as she described the medical history of a patient, an American who had been told by other doctors that she might only have months to live. The patient, 51 at the time, had suffered from a chronic sinus infection for over a decade: the antibiotics that had been prescribed over those years had critically damaged her immune system, and eventually she ran out of antibiotics that could contain her infection. The American patient was desperate and traveled to Georgia to try bacteriophage therapy, an alternative to antibiotics for treating infections. The treatment had been developed in the Soviet Union, and Tbilisi had remained a research hub. The patient responded well to bacteriophage treatment almost immediately and the infection has been managed effectively for 12 years since her initial visit, Alavidze said. Bacteriophage treatment declined during the last half of the 20th century, but with the overuse of antibiotics raising concerns about a potential global public health crisis, the therapy is again gaining attention. “Given the great need for new antimicrobial therapies, [...] the prospect of effective phage therapy being applied to human infectious diseases in Western medicine seems to be growing,” Timothy Lu, assistant professor of electrical engineering at MIT, where he heads the Synthetic Biology Group, wrote on the University of Chicago blog. “I think this is the only thing that will save us in a post-antibiotic world,” Carl Merril, former chief of the biochemical genetics lab at the National Institute of Mental Health (NIMH), told the Huffington Post. Bacteriophages, more commonly referred to as phages, are viruses that infiltrate a bacterium, multiplying themselves inside of it, until the bacterium ‘pops’ and dies. Bacteriophages were discovered by French-Canadian microbiologist Félix d’Hérelle at the Pasteur Institute in France in 1917, when trying to find treatment possibilities for wounded soldiers during World War I. “In a flash I had understood: what caused my clear spots was in fact an invisible microbe … a virus parasitic on bacteria,” D’Hérelle wrote. Inspired by the findings, a Georgian microbiologist, Giorgi Eliava, travelled to Paris in 1926 to work with d’Hérelle. After returning to Georgia, Eliava opened a research facility at the Tbilisi Institute of Bacteriophage, Microbiology and Virology, and eventually persuaded D’Hérelle to join him. Eliava, unfortunately, was among the hundreds of thousands of people caught up in Stalin’s Great Terror, and was shot in 1937 as an “enemy of the people.” In the 1980s, his research facility was renamed the Eliava Institute. In spite of bacteriophages’ efficacy in combating bacterial infections, research on and treatment with phages slowed and, ultimately, stopped outside the Soviet Union after antibiotics were first commercially produced in 1940. Even when bacteriophage therapy was largely forgotten elsewhere in the world, the treatment remained in use in the Soviet Union, and the Eliava Institute in Tbilisi was the center of research in the field. Following the collapse of the Soviet Union, some entrepreneurs began contemplating the business opportunities that the treatment presented. One firm, Biochimpharm, was founded in the early 1990s by a veteran of the Eliava Institute, Aleksander Golijashvili, who had become known for his discovery of the phages that can combat serratia and klebsiella – strains of bacteria that commonly afflict weakened patients in hospitals. “We hope this will ease the introduction of phage therapy into other parts of the world,” the elder Golijashvili said. Other former Eliava Institute employees have taken routes similar to that followed by Golijashvili. Alavidze, for example, started her clinic, the Phage Therapy Center, in the early 2000s to treat international patients. 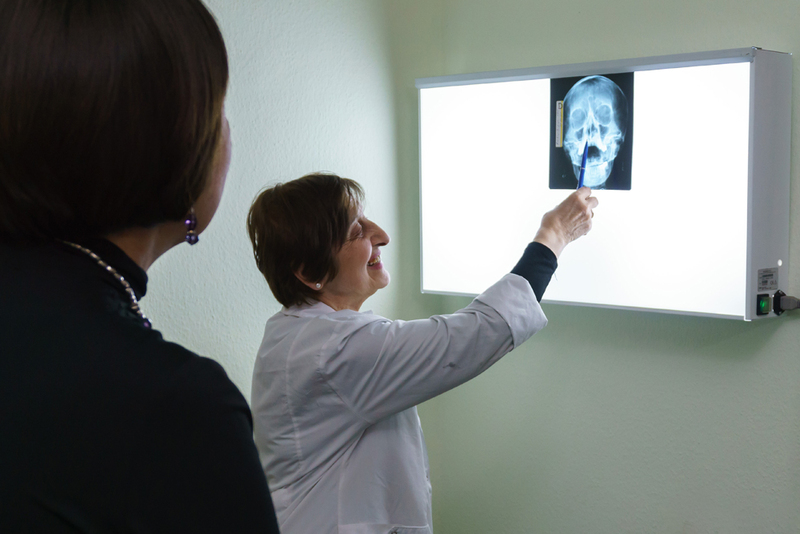 The idea for the clinic was spurred by Alavidze’s treatment of a three-week-old girl with a serious infection who was in the process of being adopted by an American family. When the adoptive parents saw how effective the treatment was, “they asked me if I could start a center where anyone in the world could be helped,” Alavidze said. Phage therapy’s acceptance in the United States and Europe is a slow-going process. In the United States, an obstacle to approval from the US Food and Drug Administration is a lack of English-language peer-reviewed research. But the Georgia-based clinics and firms specializing in bacteriophages are optimistic. Inge Snip writes about (social) innovation, startups, and grassroots movements. She hails from the Netherlands, but has lived in Tbilisi on and off since 2007.